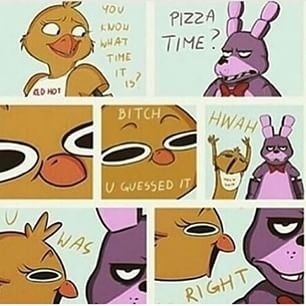 Pizza...time. . Wallpaper and background images in the Five Nights at Freddy's club tagged: photo pizza time. This Five Nights at Freddy's fan art might contain アニメ, 漫画, マンガ, and コミック. Chica : Do you know what time it is?